Former President Jimmy Carter wants to see Mitt Romney win the Republican nomination and run against President Obama next November. 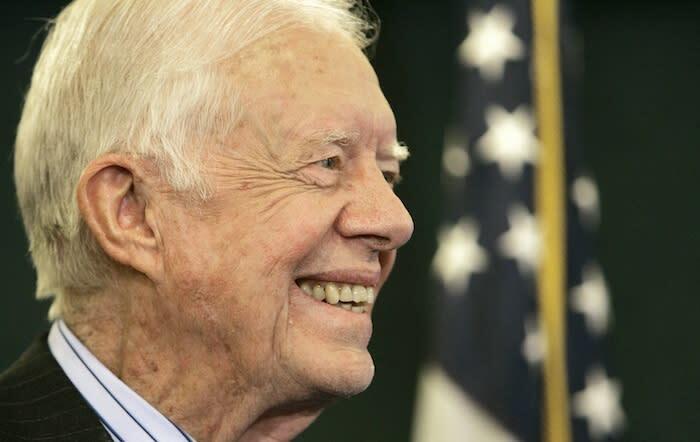 "I hope he wins," Carter said of the former Massachusetts governor in a Thursday night interview with MSNBC. "I'm not taking a position, but I would be very pleased to see him win the Republican nomination." Carter, a Democrat, added that he thinks Romney would lose in a match up against Obama, and that he supports the president's re-election.